American Heist is a new film recently released on DVD from director Sarik Andreasyan and writer Raul Inglis. This film starts with Adrien Brody getting out of prison and after a night out on the town is taken to a warehouse were he meets some old friends played by Akon and Tory Kittles who go by Sugar and Ray. He soon finds out he is going to have to payback his debts to his old friends and part of that is getting his brother, played by Hayden Christensen, involved. One of the most interesting parts of this film is a femme fatale that does not know she is one. 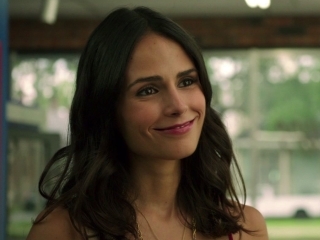 Jordana Brewster plays an old flame that is brought back into Christensen’s life and that attraction is used against him. This film doesn’t have a very original or outstanding plot by any means. It does have another great performance from Brody and I liked Brewster in this as well. I don’t know why I got this vibe, maybe it was because of Brewster playing his love interest or because there is a bit of a resemblance I did not notice before, but I felt that Christensen’s part was written for Paul Walker and Christensen was just trying to do his best impression of him. This doesn’t mean Christensen did a bad job, just once this got in my head I could not get it out for the duration of the film. While I was doing some research on this film, I found out it is actually a remake of The Great St. Louis Bank Robbery starring Steve McQueen. This movie was based on the true life incident involving the bank robber Fred William Bowerman. I have not seen this original film, but looks to have taken a lot of time and effort to be as accurate as possible. Reading a bit about The Great St. Louis Bank Robbery and the history of the bank robbery it is based on, I would say this film is very loosely based on the original film and has little to nothing to do with the real life bank robbery. While the original took place in St. Louis and the film was made in 1959 only 6 years after the 1953 attempted bank robbery, this film takes place in a modern time frame and in New Orleans. The original didn’t have brothers involved, which is a key part of this films plot as well. I hope to watch The Great St. Louis Bank Robbery at some point and further compare the two films. This film is not a modern-day classic that somehow slipped through the cracks. There is good reason you may not have heard of this film. That being said, it is not a horrible film and if you are in the mood for a heist film and do not want to watch Heat for the 100th time, this may fit the bill for you. I think fans of Adrien Brody will also enjoy his performance in this film. Favorite Tidbit: Look for Hayden Christensen’s girlfriend Rachel Bilson in a small non-speaking but pivotal cameo appearance. I hadn’t known this either, and so must certainly lay hands on a copy. Many thanks!